A new reading challenge presented by Carl V. - the Readers Imbibing Peril (R.I.P.) Autumn Challenge beginning now and continuing through the end of October. The rules are simple: "pick out any 5 books that you want to read that you think will meet the very broad criteria of being scary, eerie, moody,dripping with atmosphere, Gothic, unsettling etc and vow to read them"
The Historian - Elizabeth Kostova - all about Dracula so what could be more apposite? Ghost Stories - Edith Wharton. Ghost Stories and also A Christmas Carol - Charles Dickens. L M Alcott also wrote Gothic tales as a complete contrast to Little Women et al, and then there is The Turn of the Screw by Henry James, Northanger Abbey by Jane Austen, Castle Rackrent ...I had better stop. 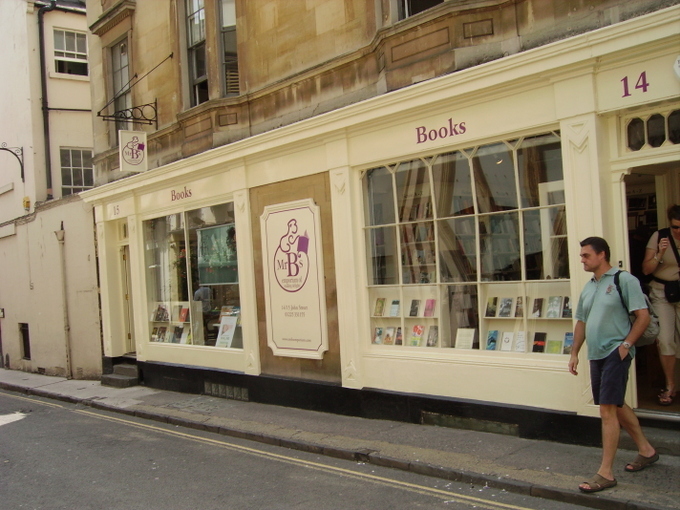 I recently read an article on the above shop on the Guardian Unlimited page http://books.guardian.co.uk/shoptalk which appeared shortly before I was due to visit Bath. A new independent bookshop and, what is more, backing onto Waterstone's (practically) in Poultney Street! Brave venture I thought and decided that I would pay a visit. Mr B's Emporium is located at John Street in a lovely Georgian house (is there any other in Bath I ask myself?) with stripped pine floors and all is light and airy on entry. On this occasion I had chosen one of the hottest days of the year to visit and a fan was doing its best to move the air around. When you open a new bookshop books are a far more important investment than air conditioning (which is probably not very good for books anyway). An excellent selection of books and beautifully displayed and laid out. 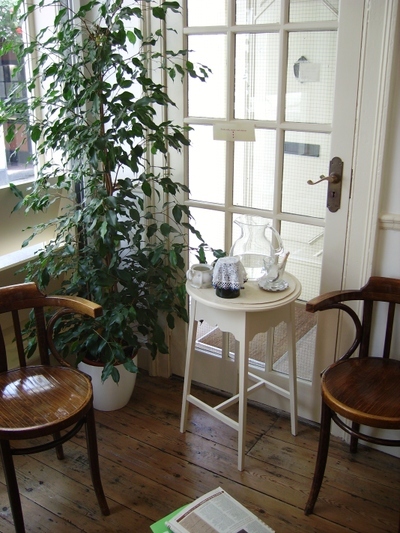 There are little nooks with chairs to sit on while you browse and a pot of coffee ready for visitors. I purchased a book, Antal Szerb's Journey by Moonlight, as though I had read this on a recommendation and loved it, did not own a copy of my own. I was delighted to be a paying customer, albeit on a small scale. I love bookshops. I love the big shops such as Waterstones, though they do vary from location to location, as do their staff ranging from knowledgeable to indifferent; I love second-hand bookshops where everything is in a heap and you hunt around hoping you will find the elusive gem you have been searching for; and I also love independent bookshops where the staff are usually the owners and who are genuinely interested in you and your reading likes and dislikes. I was delighted to see some Persephone books on the shelves and do hope that Mr B continues to stock them and also books from other smaller publishers that do not get a look in otherwise. When I spoke to Mr B when visiting he said had a cupboard full of catalogues sent to him by publishers and just looking through them and deciding what to stock was a time consuming process. What a wonderful way to spend one's time. Do you think if I asked him he would let me have a look and tick up a few? Just thought you might like to know that my dilemma is over. I am sure there are a lot of opera buffs out there who have read the above book which I first came across in my early teens when I seemed to stagger home from the library every night with a huge heap of books. My choice was haphazard and pretty indiscriminate, a method which threw up some gems as well as dross. This was one of the unexpected gems. Lena Geyer is a fictional operatic diva though when I first read this book I thought this was a biography of a genuine person. 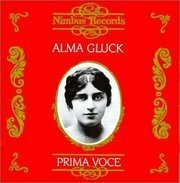 The author, Marcia Davenport, was the daughter of Alma Gluck, a celebrated American soprano and spent most of her childhood, indeed her whole life, immersed in the world of music and opera. In the story of Lena Geyer we are introduced to 'real' people. Lena works with Gustav Mahler at the New York Met who conducts when she sings in Don Giovanni, Lilli Lehmann is her singing teacher and Jean de Reszke is her co-star in Tannhauser. The production notes and details about her performances were so detailed and informative that they sent me scrabbling to the back of the book looking for a non-existent index and references. When I first read Of Lena Geyer, I knew nothing about Wagner, but once I saw the light and became a devotee, I re-read all the chapters dealing with Wagner performances and found their detail and background information was spot on. Hardly surprising as Marcia Davenport must have watched all these productions unfolding in front of her. What an incredible experience. Much though I love this story, I do feel that Lena Geyer is almost TOO talented. She seems to be able to switch from Puccini, Mozart and Verdi to the heavier Wagner roles without batting an eyelid, a feat which is well beyond most operatic singers. To my knowledge, the only singer who did essay this, though I am prepared to be proved wrong , was Maria Callas who sang all the coloratura roles and, in her early years, also sang some Wagner. She abandoned the heavier German repertoire though for most of her career. One could almost imagine that Lena Geyer was modeled on the great Callas except for the fact that she would probably only have been about 12 years old when this was written. I am sure this is a cult book for all opera buffs. I have a hardback copy of this on my shelves which I will not part with as I believe it is no longer in print. This particular copy came from Highgate public library where I worked many years ago. Somehow it was recommended for withdrawal as it was never taken out and so took up shelf space. I am aware, as mentioned in my previous entry on Edward Ardizzone, that C Walter Hodges was not just a children's illustrator but, once again, I first came across his marvelous illustrations in one of my all time favourite children's books, The Little White Horse by Elizabeth Goudge. This was out of print for some time until J K Rowling mentioned in an interview that this had been one of her favourites also and, lo and behold, it was reissued within a month with her endorsement on the front and complete with new cover (not a patch on the old one). When taking an Open University short course on Shakespeare this year, I came across an article on C Walter Hodges concerning his love and scholarship of the Bard and, in particular, his interest in the Globe Theatre. I found some wonderful drawings he had done of how the theatre had been in the reign of Queen Elizabeth I, meticulously done as are all his illustrations, and full of charm and magic. I also remember his drawings for The Armourer's House by Rosemary Sutcliff, another one of my cherished children's books which is still on my bookshelves. This story was set in Elizabethan times which seems to be the period in which he was most comfortable. I am blogging about him for no reason other than I love his work and would like anybody who reads this to love it too. Any lovers of Edward Ardizzone's work out there? I have probably wrongly described Edward Ardizzone (self-portrait above) as a children's illustrator, his remit is much wider, but I first came across his work when reading the Tim series (Tim and the Brave Sea Captain etc) and also the Nurse Mathilda books as a child, and loved his delicate line drawings and those with wash. With just a few simple lines he managed to create a real character on the page, full of expression. 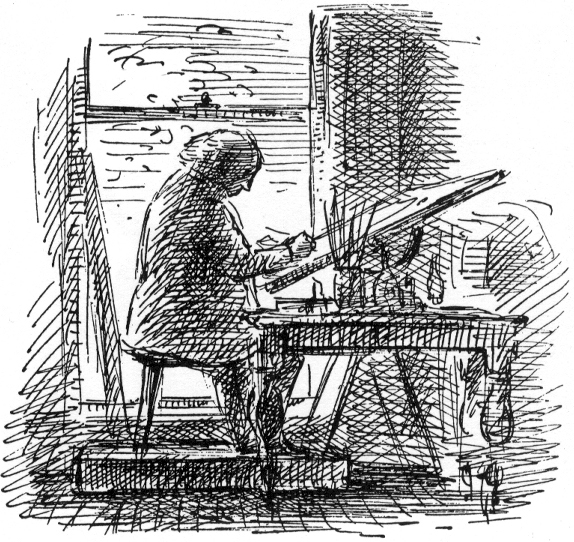 Apparently, Edward Ardizzone believed that an illustrator should not draw down to children but draw up to please oneself and treated each small illustration in the same was as a piece for an exhibition. It was with some joy many years later that I later discovered that the first two books of the Barchester Chronicles in the OUP series, had illustrations by him. The later ones, sadly, do not. These pictures are sheer delight. While those of us who have seen the BBC version of the Chronicles have the wonderful Alan Rickman firmly entrenched in our vision as the utterly awful Obadiah Slope (surely a relation of Uriah Heep), the illustration of Mr Slope preaching is a gem. Ardizzone spent the Second World War as an official war artist, taught book illustration and was a tutor in etching and lithography at the Royal College of Art in London, so cannot be categorised as just a children's illustrator but it is how I will always remember him. Bearing in mind my previous blog on Old v New, out of interest I logged onto the Booker Prize website to see if I had actually read any of the winners and/or nominees. I was very surprised to find that I had. 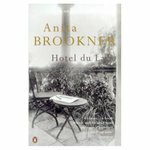 Out of the winners those I had read were Heat and Dust - Ruth Prawer Jhabvala; Staying on - Paul Scott; Hotel du Lac-Anita Brookner; Remains of the Day-Ishiguro; Possession - A S Byatt and the Blind Assassin by Margaret Atwood. On checking the list of nominees I have read Alias Grace-Margaret Atwood (again); Pascali's Island - Barry Unsworth; Quartet in Autumn-Barbara Pym and Mrs Palfrey at the Claremont-Elizabeth Taylor. I feel quite pleased with myself! "I read old novels. The reason is simple: I prefer proper endings. Marriages and deaths, noble sacrifices and miraculous restorations, tragic separations and unhoped for reunions, great falls and dreams fulfilled; these, in my view, constitute an ending worth the wait. They should come after adventures, perils, dangers and dilemmas, and wind everything up nice and neatly. Endings like this are to be found more commonly in old novels that new ones, so I read old novels. Contemporary literature is a world I know little of. My father reads as much as I do, but more widely, and I have great respect for his opinions. He has described in precise measured words the beautiful desolation he feels at the close of novels where the message is that there is no end to human suffering only endurance..................he has explained why it is that ambiguity touches his heart more nearly than the death and marriage style of finish that I prefer. During these talks, I listen with the gravest attention and nod my head, but I always end up continuing in my old habits. Not that he blames me for it. There is one thing on which we are agreed: there are too many books in the world to read in a single lifetime, you have to draw the line somewhere" (my italics). To me this perfectly sums up my position. I cannot help but feel that this is Diane Setterfield's view also, after having read her marvelous book with its 19th century influences, but I must not assume this is so. I think I may have to write to her and ask. This morning when I got out of bed I had to put the light on as it was very grey and dismal; tonight on arriving home, the same. Sadly, it is very clear than unless we have an Indian Summer, the warm weather has gone for another year and already there is an autumnal feel in the air. Hard to believe that we were sweltering just a few weeks ago. Yet, somehow, there is rather a nice feeling about the change of season and nights to look forward to curled up on a sofa, heating on, feeling nice and cosy, cup of tea and chocolate digestive to hand, and of course a book to read. With the Christmas season already on its way (Harrods has had their Father Christmas in-store for over three weeks!) 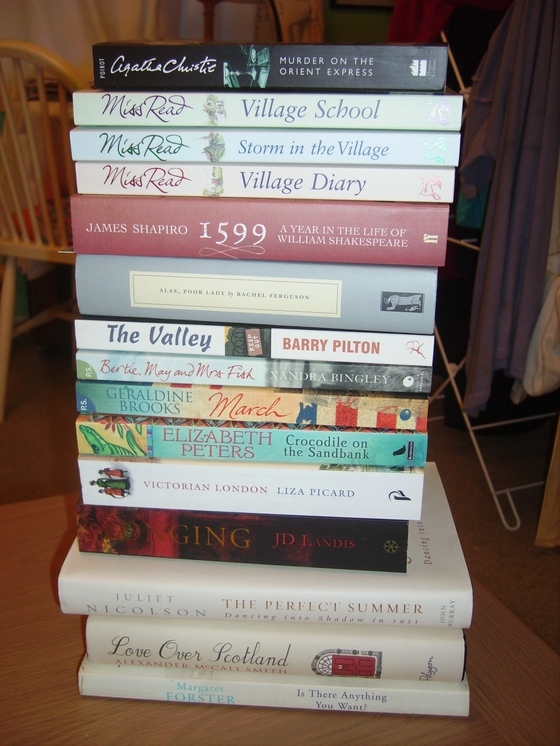 we can look forward to a glut of new books in all the bookshops. Having attended the individual performances of the Ring last year at Covent Garden, I am in two minds about booking for the entire cycle. My main reason for my attendance was solely because Bryn Terfel (the Mighty Bryn) was singing his first Wotan, an event I have waited some 20+ years for since I first heard him sing in the Cardiff Singer of the World competition, when he sang the aria from Act One of the Flying Dutchman and made my hair stand on end. 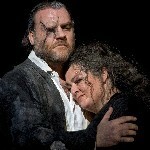 He did not disappoint, being particularly superb in Die Walkure, perhaps the most accessible of the Ring operas. A few months later he performed in this opera with Placido Domingo as Siegmund which I was fortunate enough to see. A simply sensational evening. I had originally decided that perhaps I would skip this Cycle as Bryn had only sung in Rheingold and Die Walkure, but now see that he has added the Wanderer in Siegfried and will, therefore, be performing in three. My reluctance to spend vast sums of money on tickets stems from the production which I found irritating beyond measure. The stage cluttered with extraneous bits and pieces that made negotiating it a treacherous task for the performers. Difficult to concentrate on singing I would have thought when you have to watch you do not fall over something - also distracting for the audience. The dragon in Rheingold was, quite frankly, risible and when it came to Gotterdamerung, the production seemed to bear no relation at all with the earlier operas. I spent most of this particular evening in the House with my eyes shut, just listening to the music, which surely negates the whole point of opera. I realise I am sounding like one of those reactionary opera goers who one can hear in the Crush Bar in the intervals 'Oh but you should have seen so and so's production in Munich - SO much better darling' (I have to say that the last time I heard a comment like this it was from the lips of ex-Tory cabinet minister Michael Portillo who I seem to bump into every time I attend a Wagner performance at Covent Garden), but cannot help it. The production was awful. So, I now have a choice. Covent Garden has been pretty sneaky. We have Bryn singing Cycle 1, but not Cycle 2. However, Cycle 2 has Placido returning as Siegmund an event to be highlighted in red in the calendars of opera lovers everywhere. Therefore, I have to make a choice as I simply cannot afford to attend both. Much though I adore Placido, I think I am going to have to plump for Bryn as his Wanderer is not to be missed. Unfortunately, in both Cycles we have to suffer the truly appalling and wayward singing of John Treleven as Siegfried. This is a total pig of a role and can finish off tenors before breakfast, but surely the world is not so short of Heldentenors that Covent Garden cannot find somebody better?